Door in 1 - Golf Doorstopper | Putt Away to Improve Your Handicap! 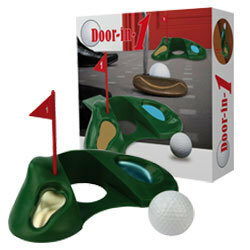 When you can't get away from the office to play a round of golf, take a round with the Door-in-1 Doorstopper! 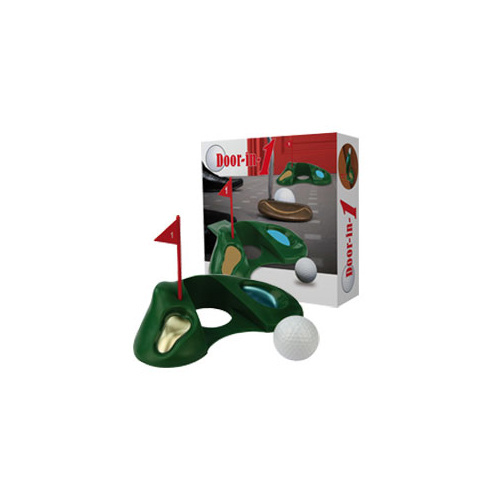 Putt away to improve your handicap but watch out for the sandbox and lake! The Door-in-1 Doorstopper keeps your door open while helping you practice your swing from the comfort of your own home. Includes 1 x Golf Ball.